With thirty paintings by this artist, the Queen of England is the largest collector in the world of Canaletto. It is logical that the Queen's Gallery of Buckingham Palace devotes an exhibition to him from May 19 to November 12, 2017 under the title "Canaletto and the art of Venice". The Serenissima is represented by one of the masters of Venice. It is always a pleasure to admire the geometric rigor of perspective with a luminous representation of the play of shadows and lights, and the staging of the solemn events of the city with the swarming of life on the waters of the Grand Canal. One never tires of this panorama of the City of Doges. 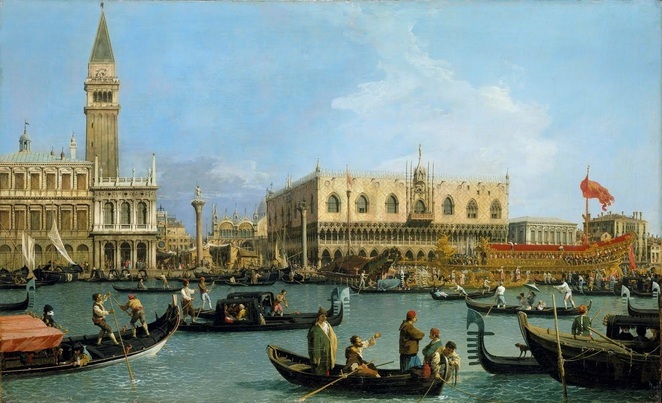 Two sets of paintings painted by Canaletto at two different periods of his career, are the highlight of this exhibition. Commissioned in the 1720s and 1740s by the British patron Joseph Smith before being bought by King George III to decorate the walls of Buckingham Palace, these paintings are accompanied by a series of sketches which probably served as a basis to the discussions between Smith and the painter. 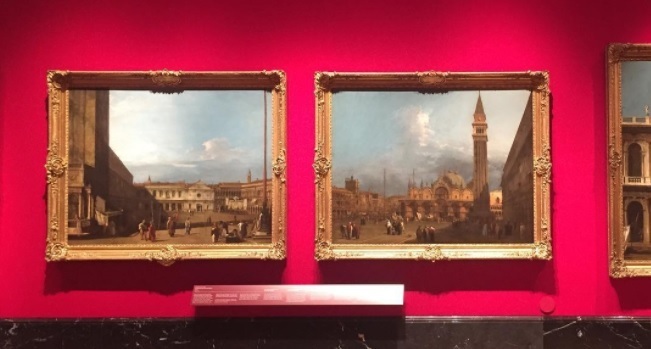 In addition to the most famous views of Canaletto's Canal Grande Canal, the exhibition also presents the works of other Venetian artists of the period, such as the pastels by Rosalba Carriera. Explore Venice of the 18th century, its festivals, and traditions through the eyes of one of its most illustrious representatives.